A white gold bar necklace is a perfect accessory for anyone on your shopping list. 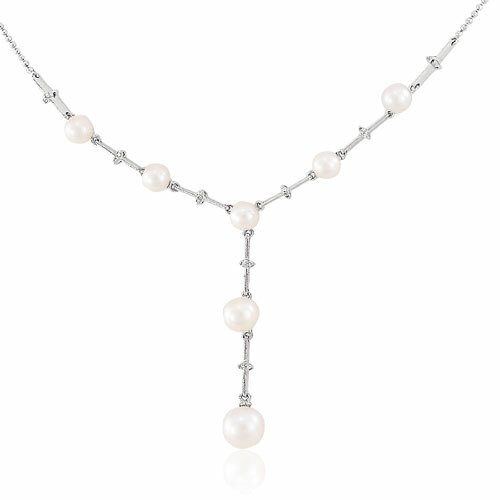 Small, white pearls accent this necklace with diamonds centered. A long bar dangles from the necklace, with diamonds and pearls added for accents.